I’m writing this week’s Bliss List from home after being away for back-to-back travel. And I’ve got to say, as much as I love adventures, travelling, and the new opportunities that can come, there truly is no place like home. I’m curled up in the loft writing while our little family is back under one roof, sometimes it’s the little moments you stop to appreciate that bring you the most happiness. This weekend I’m celebrating mother’s day at home with my babies and I have promised myself that I’m going to be present in the little moments and really embrace a slow Saturday and Sunday. I hope if you’re a mom too, you’ll give yourself permission to leave the dishes, put off the vacuuming, and let the laundry pile up. Allow yourself to press pause this weekend and celebrate all the happiness that motherhood can bring. 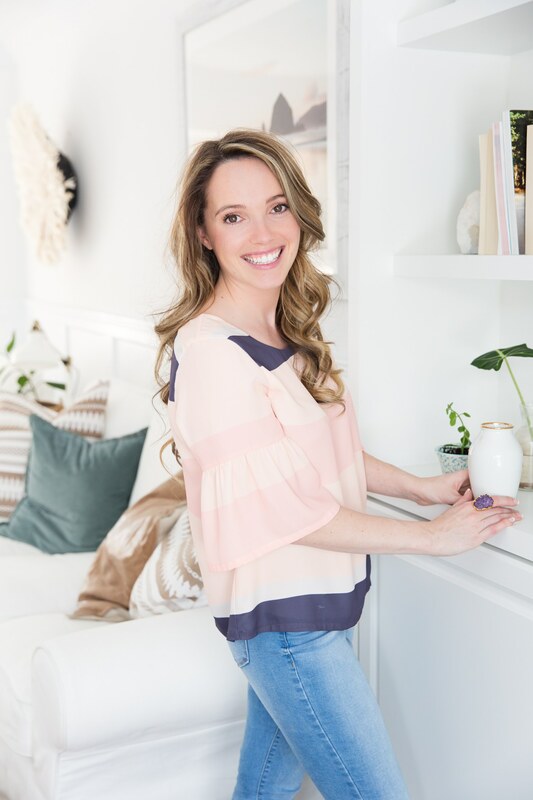 The newest Jillian Harris collaboration with Melanie Auld was released a few weeks ago in April, and (with no surprise here) it is so, so beautiful. Adorned is a collection inspired by life’s moments, stories, and those who we treasure the most. 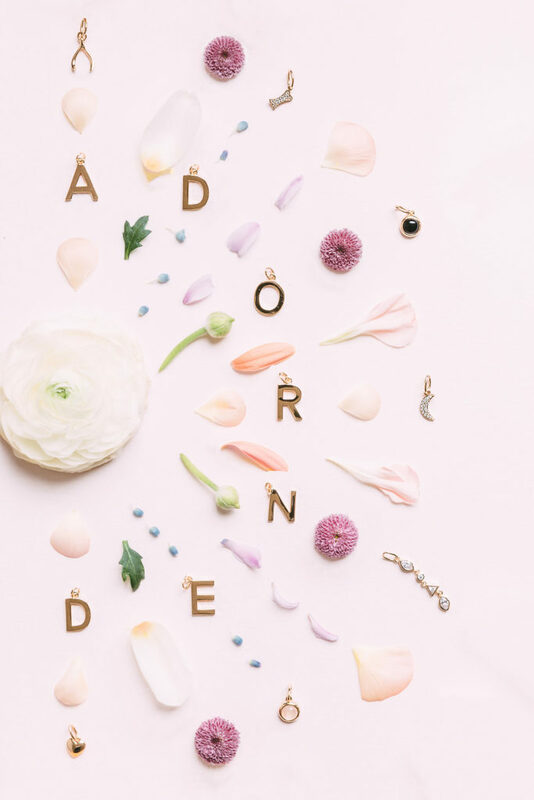 While anyone can tell their own story through this collection’s pieces, it is so fitting for those wanting to celebrate their journey within motherhood. If you’re looking to spoil yourself – you can create your own custom piece here. I loved hearing Sarah Jessica Parker discuss motherhood on Girl Boss Radio (she was also then quoted on MotherMag). Her honest and authentic thoughts surrounding motherhood really resonated with me. In an excerpt from her interview she explains, “You’re in a constant state of worrying about your children. It’s very painful and it’s exhilarating. It’s a really interesting way of living in the world. I read books differently, or I look at parents and children on the subway differently. I hear music differently or when I see something, I think, ‘I wish Tabitha and Loretta were with me now and they could see this.’ That’s the good part.” Isn’t it incredible how motherhood can connect women who live such vastly different lives so instantly? Listen to SJP’s entire interview here. Mom so hard, am I right? 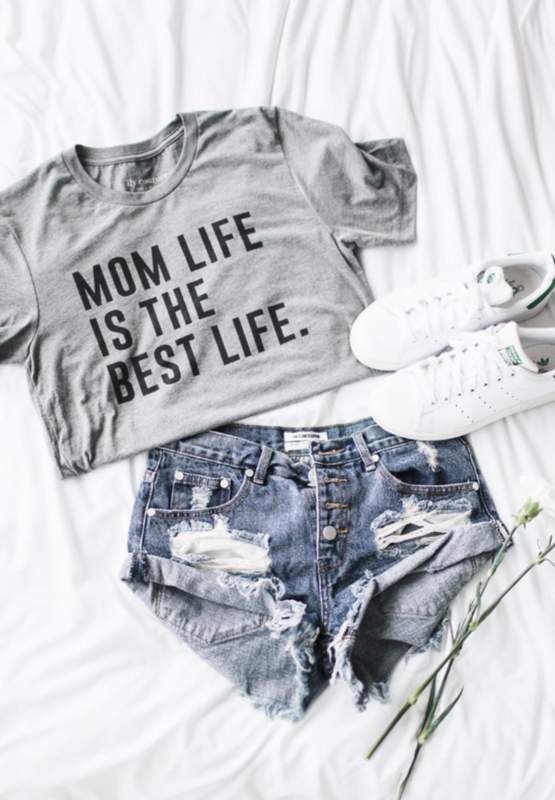 This Mom Life Is The Best Life oversized tee is one of my favourites and I can usually be caught wearing it on repeat around the house. Ily always releases the cutest holiday collections and I might just snag the Mom Life is the Best Life sweatshirt too. Their tees are so comfy and they only get softer as they wash.
You’ve probably already seen this American Greetings World’s Toughest Job commercial because I’m pretty sure it broke the internet four years ago when it debuted. Nevertheless, I’m sharing it again because it makes me tear up every time I watch it (which I do a few times a year, if ever I’m having “one of those days”). Moms are the most incredible people. 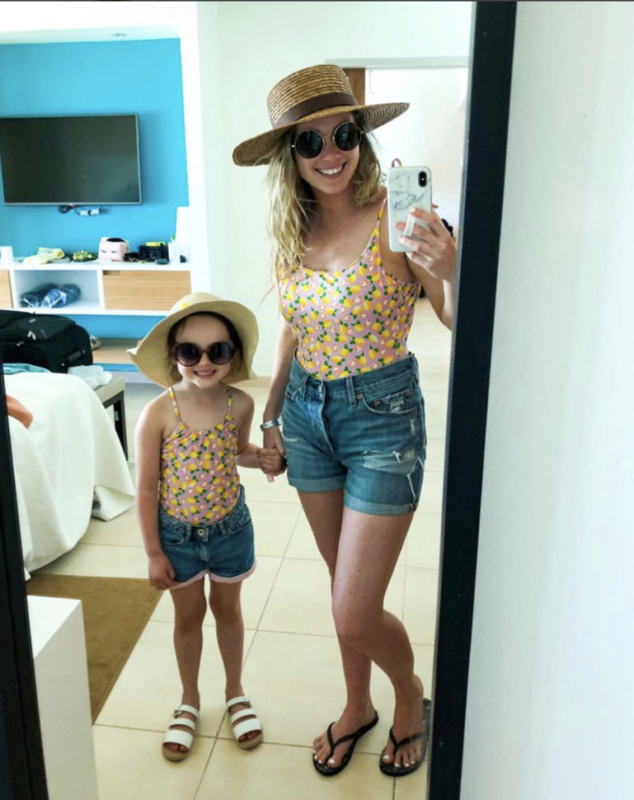 You guys know I love twinning with Ella every chance I can get; it’s one of my favourite little indulgences in motherhood. I ordered these adorable lemon-print swimsuits to surprise Ella with while we away on our family vacation in Cuba. We were both thrilled to wear them together for our daily beachy adventures. You can shop mine here and find Ella’s here. For as long as I can remember, I’ve always loved writing and have made an effort to keep journals and diaries for myself to look back on. I’ve been writing the blog for years now and while it still remains one of my favourite ways to document what’s happening in our little world, I’ve recently been making a greater effort to keep notes of special moments and memories that are separate from what I share here on the blog. 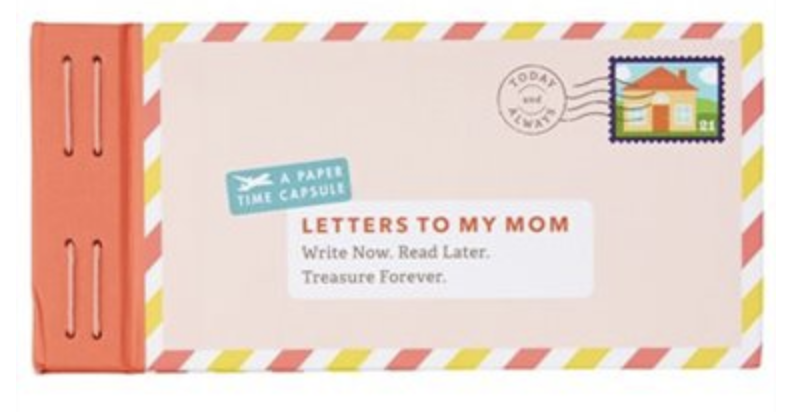 I recently stumbled upon these Letters To My Baby and Letters To My Mom and I think they’re such a sweet and intimate way to document the little moments that sometimes come with big emotions. Ella and Noah may not be babies anymore (where did the time go?!) but they’re still my babies, and I’d love to write them each a set of these notes. I think it’s as close as we’ll ever get to time standing still.